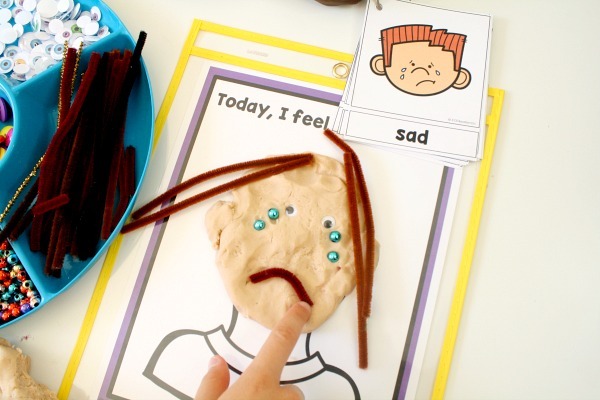 When it comes to feelings and emotions activities it helps to provide a lot of visual cues and make it personal for kids, especially young ones. 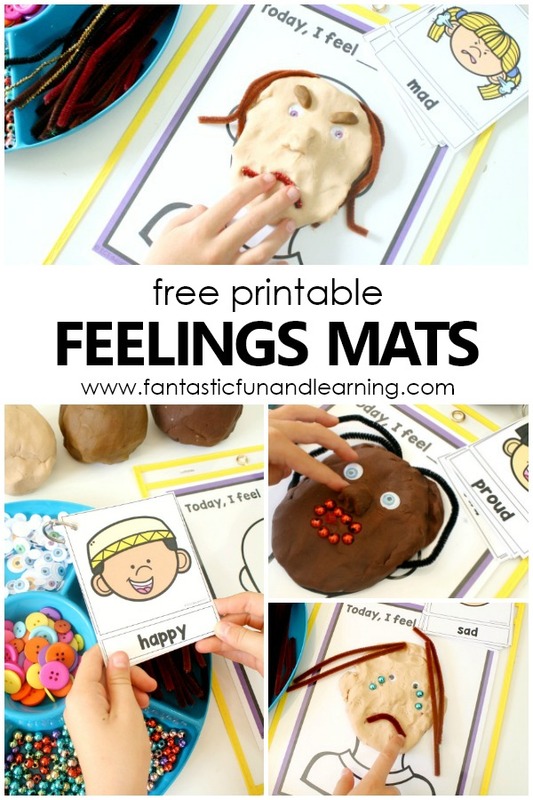 In addition to reading great books and discussing our emotions these free printable Teaching Feelings Today I Feel Play Dough Mats provide a hands-on feelings activity that can be used independently, during small groups, or during center time. Along the way kids can also chat about their own feelings, what makes them feeling a certain way, and ideas for changing their mood if needed. 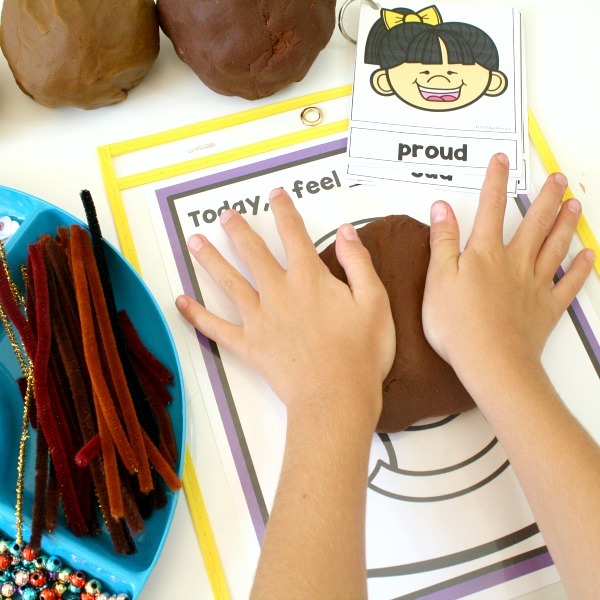 Plus, by incorporating play dough and loose parts they get an extra does of fine motor practice. 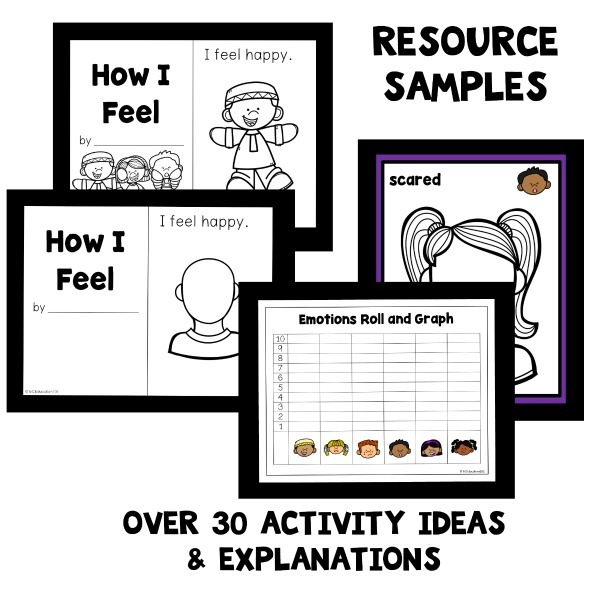 FIND MORE TEACHING FEELINGS ACTIVITIES IN OUR PRINTABLE EMOTIONS LESSON PLANS. 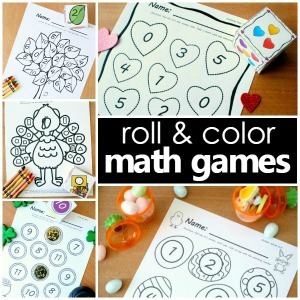 Watch this quick video clip to see kids creating with the Today I Feel Mats. 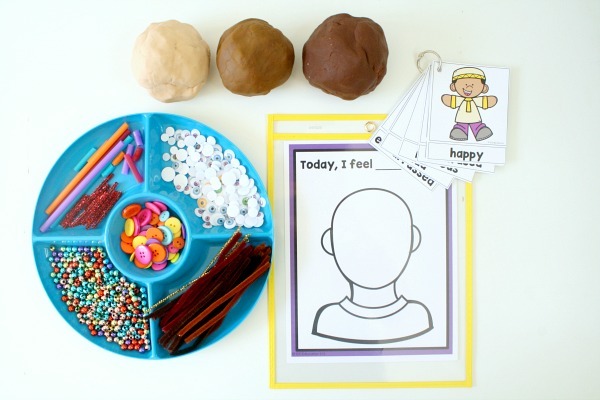 To set up this feelings activity I used the “Today, I Feel” mat and Emotions Cards from our Emotions lesson plans set. Within the full set there are individual mats for each emotion, or you can use the blank template shown here. There are also different versions of the Emotions Cards. One set include the face only while the other set includes the full body. I placed our mat in Dry Erase Pockets so I could quickly change them out. You can also laminate yours for long-term use. The Emotions Cards were hole punched and placed on a binder ring to make a quick flip book. You may want to leave them loose or provide multiple flip books if you are using this with groups of students. Next to these materials I placed an array of multicultural play dough options (we used homemade dough, but this storebought version is a timesaver too) and an assortment of loose parts for making facial features and hair. 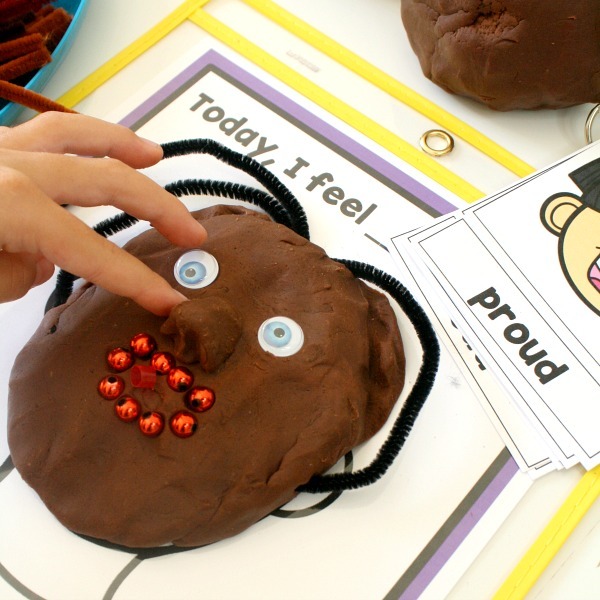 Prior to introducing this activity we read books about feelings and practicing showing different facial expressions and body postures that we might see with different emotions. Then it’s time to create! 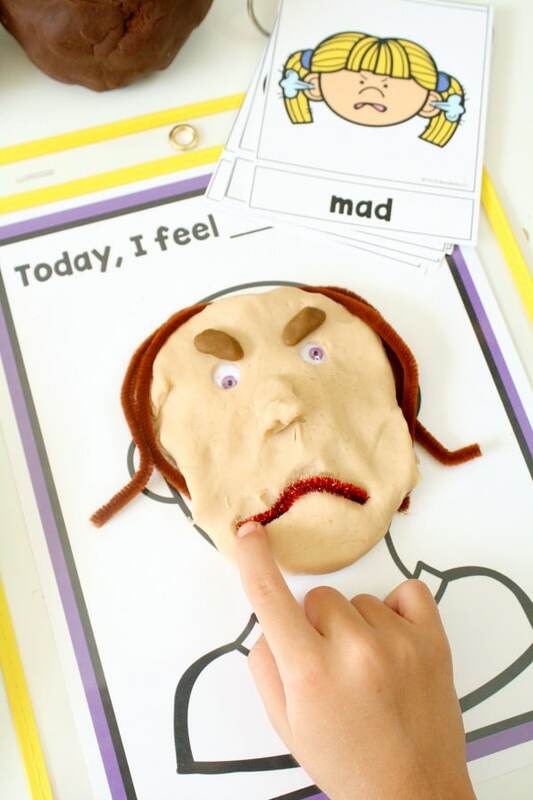 I usually encourage kids to start by making the emotion that matches how they are feeling at the moment, but they also often go on to experiment with other feeling prompts. Along the way as they are pressing and manipulating the dough and pressing in loose parts they are also exercising fine motor muscles while learning about feelings and emotions. It’s always interesting to see their creativity and background experiences play a role. This little one has been to a clay sculpting class, so she wanted to scuplt a 3D nose out of dough instead of adding a loose part in its place. Do remember to take the time to sit and chat with children about their creations. It’s a terrific way to make connections and dig deeper into how they are feeling, what made them feel that way, and possible coping strategies…even if the conversations are hypothetical or based on prior experiences. The free printable set includes the Today I Feel mat pictured above and a sample of the Emotions Cards faces set. Enter your information via the link below to get your copy emailed to you. So glad you like them! 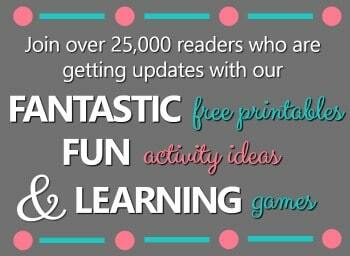 Please use the link in the post to get your free copy. It will automatically be sent to you once you enter the email address. I love this! Thank you for offering it. What kind of food coloring did you use to make all those wonderful skin tone colors? We almost always use Wilton Gel Food Coloring (but others also recommend liquid watercolors). For the lighter tan colors here we slowly added brown coloring…a little goes a long way! The darkest color is a repurposed batch of dough (we like to get a ton of use out of every batch!). For that one we used unsweetened cocoa powder to get rich dark color.